I hope that those of you that celebrate Christmas had a great day! or week depending on how you and your family celebrate Christmas. We finally got our Holiday (or end of the year) letter written this year and can be found above on the tab 2010 Holiday. We did it as a website this year and we actually feel pretty good as it has taken us years to get this one finally done! As I look back on this year, I can't believe all the things that have happened to this family in one year to all of us. There were good and bad, happy and sad, new babies being born, our nephew Tyler Rudy dying. New friends and new relationships being made and some old friends leaving. Changes made and times are different. An old job gone and a new job started. The cards that can be printed out come in English, Spanish, Greek, Hindi, Tamil, French, Japanese, Dutch Gujarati and coming soon will be in Portuguese and Romanian. 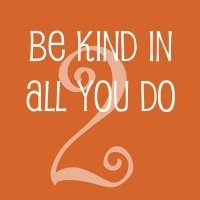 So even if you don't have the cards, think about doing a random act of kindness for someone this week. Well I have been doing some searching for people that celebrated Chalica this year and have read a lot of interesting things that people think about Chalica. I have looked at the definition of holiday - which is time away from work. So I guess Chalica qualifies in that respect, but we don't dress up like Halloween, we don't talked about a miracle that has happened like Hanukkah or Christmas. We don't decorate the house, or eat special foods. We just think, talk, maybe sing and/or read about our Seven Principles. We might make plans to do things for the future in regards to our Principles and we think about how they might make us better people. I did find a blog called Unitarian Everyday that talks about how one family practiced Chalica this year. Chalica is over for the 2010 year! We had a wonderful large number of hits on this site: 3361 and people from 22 countries other than the USA! See below for the list. So keep on telling people about it and remember YOU are a part of this living movement and have made Unitarian Universalist history this year! Did you see that I started the count down for next year over on the left? Below are the countries and the number of different spots in the country that visited this site in 2010! We light the chalice today for the 7th Principle - Respect for the interdependent web of all existence of which we are a part. Does this mean that we should recycle, redo, and reuse? My kids always would laugh at their mom as I would walk along and pick up trash, do you do this? How do you take care of the earth? I look around and see earth being torn up for more buildings, sidewalks and roads and I wonder what the earth will be like for my grandchildren. I remember climbing the hills as a child and running freely in the grasslands. Those grassland are no longer there they are a housing tract and one of the hill is gone. The other I couldn't find an access to when I went back in October, 2010. Things have to change, but where will the kids find places to be explorers? And by destroying the earth are we hurting ourselves? I just heard about the United Mitochondrial Disease Foundation it seems like new diseases are popping up like flowers. Don't forget to light a candle tonight in memory of a child who has died, like my nephew Tyler. Join us on Sunday, December 12, 2010 along with other bereaved families, for the Fourteenth Compassionate Friends Worldwide Candle Lighting. Visit The Compassionate Friends website to find a formal service near you, or light a candle in your home at 7 PM knowing you will be joined by hundreds of thousands of people who are thinking about the children around the world who are gone, but continue to live on in the hearts that they touched. A Remembrance Book will also be available on The Compassionate Friends' website on that day to post a message or tribute. Today we light our chalice for the goal of world community with peace, liberty, and justice for all and it that vane I would like to tell you about something that is happening on Sunday, Dec. 12, 2010 to bring world community together. It is the Compassionate Friends Worldwide Candle Lighting. Compassionate Friends is an organization for people who have lost children in anyway. they have support groups and once a year on the 2nd Sunday in December they do this candle lighting that starts at 7pm in New Zealand and as different time zones turn to 7pm, they’ll light up for an hour - so candles will be lit for a full 24 hours across the globe. This past Oct. 3rd our family lost a young person, Tyler Joel Rudy. Tyler was a very special young person. As a baby he contracted a terrible disease that left him a quadriplegic. He lived all his life in a wheelchair and could do some things with one finger - like make his wheelchair go. He had lots of dreams and managed even with the deck stacked against him to realize them - like going to concerts and going to college. unfortunately he is no longer with us as he died at 22 years old two months ago. So I'll be lighting the candle for him and also for his wonderful caring brothers and parents he left behind. So I urge you to join the world in light a candle for a lost child, and if you have been fortunate not to have lost a child, light one for Tyler! See below for more information on Compassionate Friends and the world lighting event. 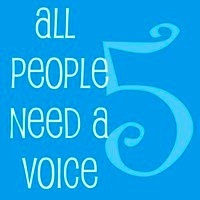 Day Five - All people need a voice. Today we light the chalice for - the right of conscience and the use of the democratic process within our congregations and in society at large. What does this mean? It is nice idea but who runs your congregation? 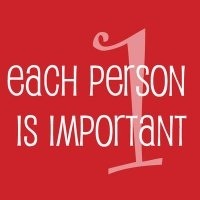 Is it one person or a small group that makes all the decisions? Are you being heard or do you really not want to do the work and thus let others take charge? Welcome to our new viewers from Argentina, Canada, Italy, Sweden and Switzerland! Wednesday night we passed the 3000 mark for viewer of this site. That means we are getting the word out to people. We are being viewed not just in continental USA but all around the world. Here are some of the numbers from places outside the continental USA. So if this is your first time here or you are repeating you are in good company, please feel share this information with others. Remember you don't have to be a UU to celebrate Chalica! Our Principles are worth spreading around. So what are you going to do today to celebrate Chalica. 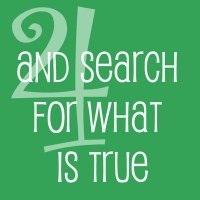 Day 4 - A free and responsible search for truth and meaning. Here's some ideas of things that we have on the website under Just Do It! Thursday: Give gifts in honor of another tradition, or to honor education Examples: - go to a winter-time celebration at another church, temple, mosque, synagogue, etc. - agree to teach someone something you know and love (volunteer for the summer RE program, for instance) - learn something new from someone else, especially an elder. Or make a pact with yourself to do this at another time. Or how about honoring our troops that are far away from home at this holiday season. 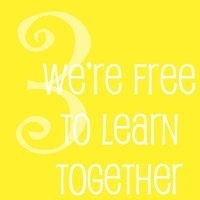 Day Three - We're free to learn together! Wow we just passed 3000 viewers! Glad so many are finding out about Chalica. Day 3 we are free to learn together or acceptance of one another and encouragement to spiritual growth in our congregations what do these two statements mean to you. The free to learn together to me means that not only are we able to learn things we can do it without being in a strict school setting. We can explore life and learn from it. We can do it alone or with others. Many UU places are taking the Religious Exploration out and putting in Sunday school. The reasoning is that people will better understand what we are doing. But are we really doing Sunday school? I hope not! I hope we are encouraging our children and adult to explore religion in a fun and interactive way. That we don’t use desks and lessons like the ones used in the public schools. That we find other ways of learning, that are fun and enjoyable. For by exploring ours and other religions we can find the similarities and differences and work, live and play together in healthy ways. One thing I didn’t know until I lived in Malaysia is that to the Islamic religion a dog is a very dirty animal. So from then on I was much more careful of my dog and the children of my friends that were Muslim. Last year my friend Cindy, was the intermediate (3rd, 4th & 5th ) grade teacher and she made learning come alive for the kids. She brought in a tub that the kids filled with strips of newspaper and some food scraps and water and then they put in worms. Every week she would bring it from home and the kid would open it and dig for worms. Then they would check the food and moisture and add what was needed and then pack it up and she would take it home so it wouldn’t get too cold in our building. Are you a person interested in working with kids and having some fun? Then think about helping in your Religious Education classes at your place of worship, as a former DRE I can tell you we always need volunteers. Although I do have to warn you, Cindy started out as a helper and then became an awesome teacher! Light A Chalice, by evan austin was performed for the first time on December 5, 2010 at the Unitarian Universalist Church of Ventura. you can see both these new songs on their tabs above or on the ChalicaVids at youtube. I am still looking for a videos of other songs. We wish you a happy Chalica; We wish you a happy Chalica; We wish you a happy Chalica; And a week of good cheer! Good tidings to you; wherever you are! Good tidings for Chalica; And a week of good cheer! Oh, bring us a lighted chalice; Oh, bring us a lighted chalice; Oh, bring us a lighted chalice and a week of good cheer! We won't go until we get one; We won't go until we get one; We won't go until we get one, so bring one right here! We wish you a happy Chalica; We wish you a happy Chalica; We wish you a happy Chalica; And a week of good cheer! Vickie Sovereign is sharing Chalica resources she either made or pulled together from others. They include posters for the seven principles, some especially for kids. At the moment I just have a link to her chart but you can go to the Chalica! facebook page and find the rest. I found a website by Connie Dunn and today she just gave me permission to link to her Momma Dee Stories these are stories that deal with each principle. This is a big job that I will start later today, so come back and check us out. It is wonderful finding all the new things people have created for Chalica! So I wish you a week of good Cheer and a very Happy Chalica! Well it is finally here, day 1 of Chalica 2010. What have you planned? Will you tell people Happy Chalica? Or will you be like my husband Leigh, he likes to say, "Cheerful Chalica!" Will you remember to listen to everyone today? Will you value the people around you? Are you going to try to forgive anyone? Have you noticed that a lot of holidays do have a day for forgiveness? If you can't think of what to do click on Monday of Just Do It! and follow it. I can’t wait to hear evan's new song and Lisa's new song: The Seven Days of Chalica. I read Jeff's sermon: Mixed Emotions from yesterday, the link is also posted below. Did you know on Sunday, December 5, 2010 many UU Fellowship Halls and Churches all over the world had Chalica Services? If you get a chance take a look at the map in the lower right-hand side of this blog. We have been looked at least once by every continent except Antarctica. Unfortunately our golden counter showed 2476+ then died! We have a site manager that was added at about 400 views on the lower left. So just add 400 to that and you will have a general idea of how many visitors we have had since the middle of November 2010. Well thanks to Sophia (Chalica Palace) I have new earrings that she sent me as a Chalica gift. I'll try to get a picture and post them later in the day. Five years ago in 2005 Daylene Marshall came up with the idea of Chalica. I found out about Chalica in 2008 and thus this will be my 3rd year celebrating. I have been interested in finding out more about Daylene so I have been looking for information on the web about her. She was the DRE at First Unitarian Church in Albuquerque, New Mexico from August 2007 until September 2010. I found this Puppet show on "What Unitarian Universalists Believe" at First Unitarian that she created while there. She has now moved back to Vancouver, Canada. Why does Chalica appeal to us? I think That Rev. Dawn sums it up best at the end of her 2009 sermon. "We human beings crave ritual, and we crave identity, and this depth of meaning. This is precisely why the idea of Chalica came into being. Whether you decide to try this low-stress celebration or not, may you and yours find ways to explore and deepen your faith this holiday season"
I am just amazed at all the interest that is happening for Chalica this year. This is Wonderful! as of right now we have had over 2000 hits on this website since November 17! So have you started to think about how you are going to celebrate Chalica this year? Will you do it as a family or as a group of friends or as an individual? Will you create the event for yourself with some of our helpful ideas on the site? Follow a planned event see: Just Do It! or Lisa's daily ideas or Jeff's written document. Or will you turn on Jeff's videos and let him lead you through a short service? Have you checked out Sharon Barlow Palm's Seven Principles Resources on Netflix? She had listed movies for each principle. Have you decided on a chalice? Will you have just one or one for each person? Please let me know what you plan - there are two places you can do this. Under this post is a place for comments and there is also a place in the guestbook or you can email me at klinkzeitz@hotmail.com. Stop The Presses and Read All About It! Rev. 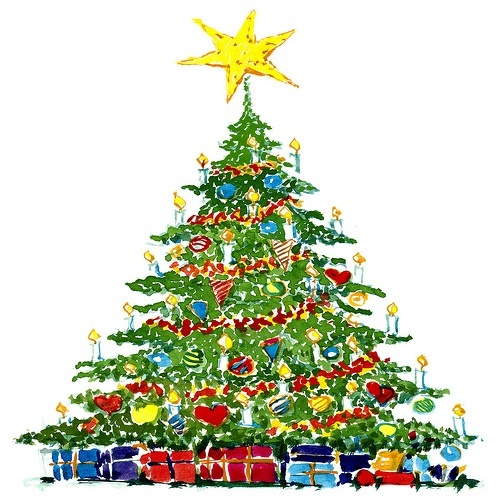 Lisa Romantum Schwartz has just written a new Chalica song to the 12 Days of Christmas Tune. Jeff Liebmann, Consulting Minister at the Unitarian Universalist Congregation of Smithon and author of many UU curricula has put together "Daily readings for Chalica in video form and as an on online document"* - 1 for each day to lead you through a wonderful experience and all you need is a computer then click and listen! I have to write about Chalice Palace and Sophia the owner. I contacted Sophia to ask permission to use the clipart to the right. I had found it quite by accident and thought is was just a perfect fit for my blog about Chalica. Sophia graciously gave me permission and asked some questions about Chalica and then we both put links to each others sites on our sites. I really like the idea of a Chalice cookie cutter and so I ordered a set from Chalice Palace's website. Well it came yesterday and with it a Chalica gift from Sophia. So thank you to her and I urge you all to give her site a look. Not only does she have things she sells on it but she also has free recipes and ideas. She is a person that seems to live our UU Principles! Some people were asking about my new rainbow chalice that we used on Sunday at the UUSBHC. I have made a link to it from here. There are two different kinds one with pastels and one with the primary colors. Both have containers for seven candles. The one I have is the 7 cup Rainbow Arch Candle Holder from Amazon. If you are interested you can click below each picture or go to the Chalice page for more information. Well I got through the Chalica service at the UUSBHC and I think it went fine. Quite a few people shared that they will celebrate Chalica this year, that they thought it was more complicated than we showed them today! We used my new rainbow chalice and it looked great. We decided to have the service on each of the principles. Check out the Order of Service under UUSBHC. Well today I am going to start preparing my house for Chalica. In my studies of other religious holiday - ie. Chanukah, Chinese New Year and others. there is a period of time before the holiday where one cleans the house for the holiday. Today I am going to start with this, some organizing, some putting away special dishes we used for Thanksgiving, and then I am going to finish my story: A Holiday for Tyler. Plus I need to make sure I have the projector in the car and get the booklets copies oh and finish and copy the handouts for families and adults! So much to do... maybe more later! Some people call this Black Friday, because it is the day that the retailers are suppose to end in the black. We we did our part on-line this year, not a lot just a bit. I am getting excited about Chalica now that Thanksgiving is over. I didn't get any decorations up yet for the holidays, so I have that to look forward to this week. Hopefully it will warm up. I am going to think about songs and things to do for each day of Chalica. will let you know when I figure some out. Monday will be a challenge as I have to work all day til 8pm! I could not say it better to those that are no longer with us and to those far away. This is a tough Thanksgiving as every year our family remembers the Thanksgiving that we called California to Grandma and Papa Lon's house to hear that what Tyler was thankful for was his new electric wheelchair. It was a very long time ago and many other good things have happened to all of us, but that was a very strong moment in time. Tyler we miss you this year! Tyler Joel Rudy what an inspiration you were to many. I am thankful for the wonderful sisters I have and the love they share and for their wonderful children they have raised. I am thankful for my very supportive family they have made a very difficult time easier to bear. And Happy Birthday to a great friend Dennis Smithe. I had forgotten how noisy children can be when trapped inside on a cold rainy day. Not bad noise, just noise from each and everyone, the computers and the t.v. They have gone home and now it is mostly quiet and I am taking a moment to catch my breath. We still have the table to set and some cleaning to do before tomorrow, but it will happen. Just found a new to me song - The Seven Principles Song. it is great. check out the link on the songs tab. More later! Enjoy the day! Oh and welcome to our viewers from Republic of Korea, Canada, the Philippines and all over the USA! Long day almost over. Spend the day with my little friend Jaxyn. He is a very smart little boy and very clever. It turns out he loves to vacuum so he had lots of fun with my vacuum and the floor. It was very interesting to watch him, he was so intense about getting up every little piece of fur and/or feathers. Yes we still had some stray pink feathers floating about from Ragbrai. Well the house is slowly getting ready for Thanksgiving. As I do some little preps for the Chalica service on Sunday. I hope we inspire more people to practice it this year. Dec. 6th will come too soon I think. Do you have to be a UU? 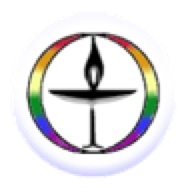 Do you have to be a Unitarian Universalist to celebrate Chalica? No, but you do have to believe in and want to practice the Seven Principles. There are two different versions of the principles - adult version and the kids version. They come from our UU Sources. Today is my birthday and I have had a great day working on my Chalica site! This past week I have made some new Chalica friends: Sophia Rose of Chalice Palace and Rev. Lisa Romantum Schwartz of the Unitarian Universalist Fellowship of Topeka, Kansas. It is so great to see the idea of Chalica spread across the nation. I just want to thank evan for telling about Chalica and encouraging me to practice this new tradition.